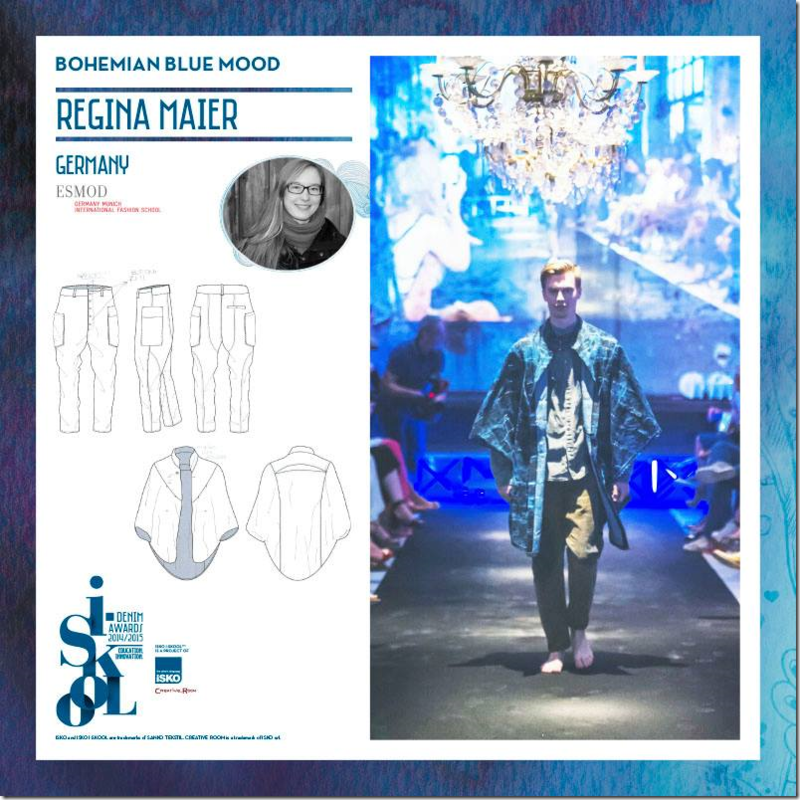 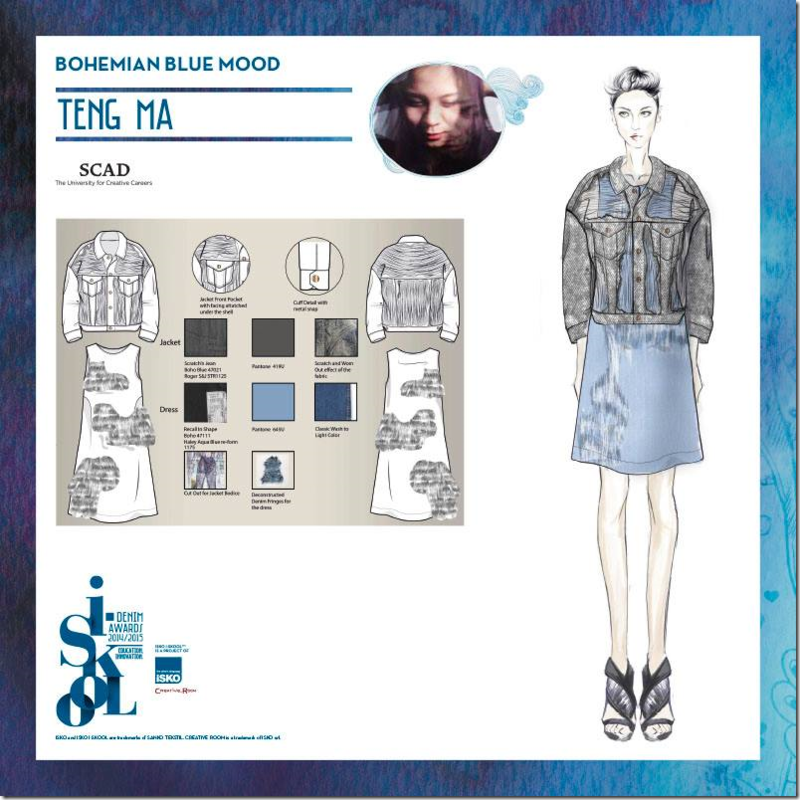 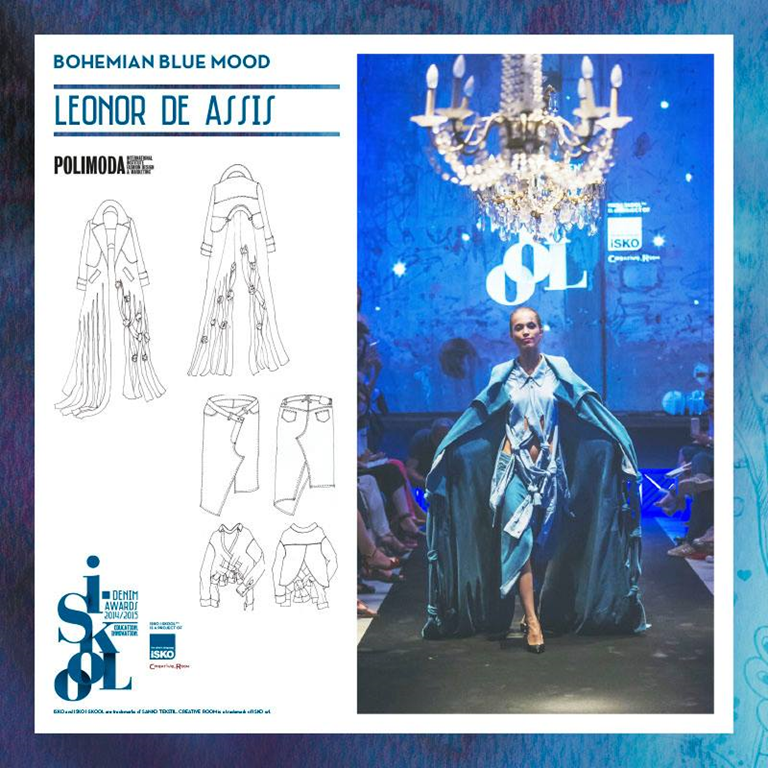 This mood required students to re-interpret the Boho-chic fashion movement, that became especially popular in 2004-5 associated with actress Sienna Miller and Kate Moss. 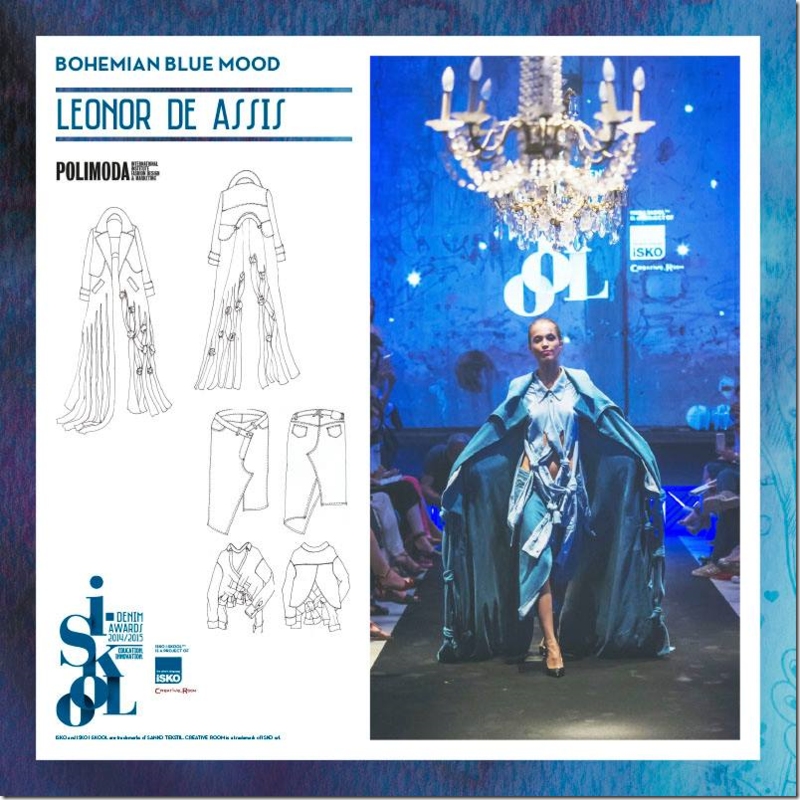 Vintage washes, delicate embroidery, comfy silhouettes, layering and mix and match are the focal point of this collection mood. 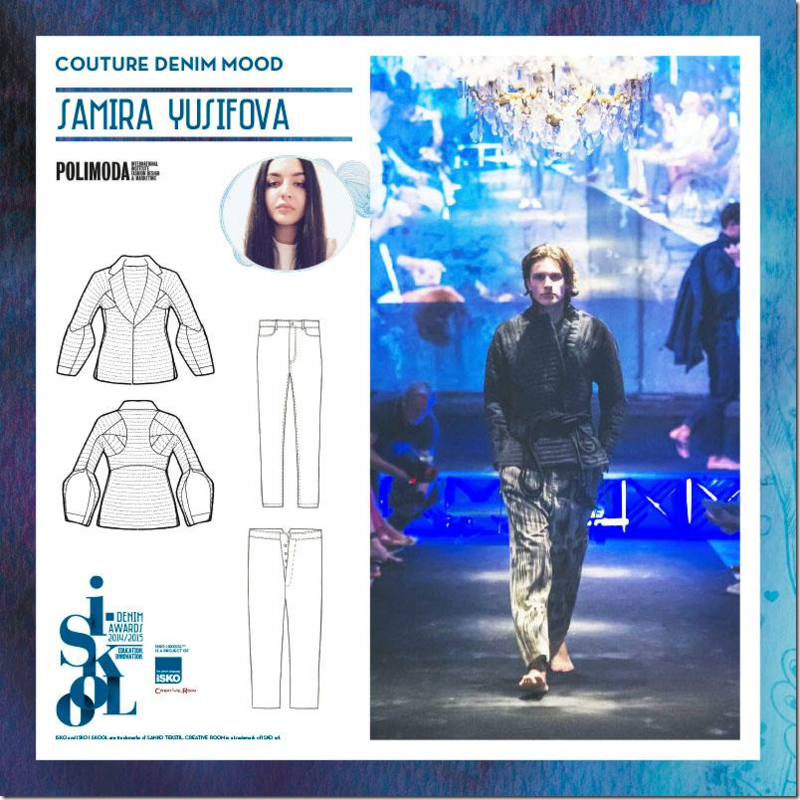 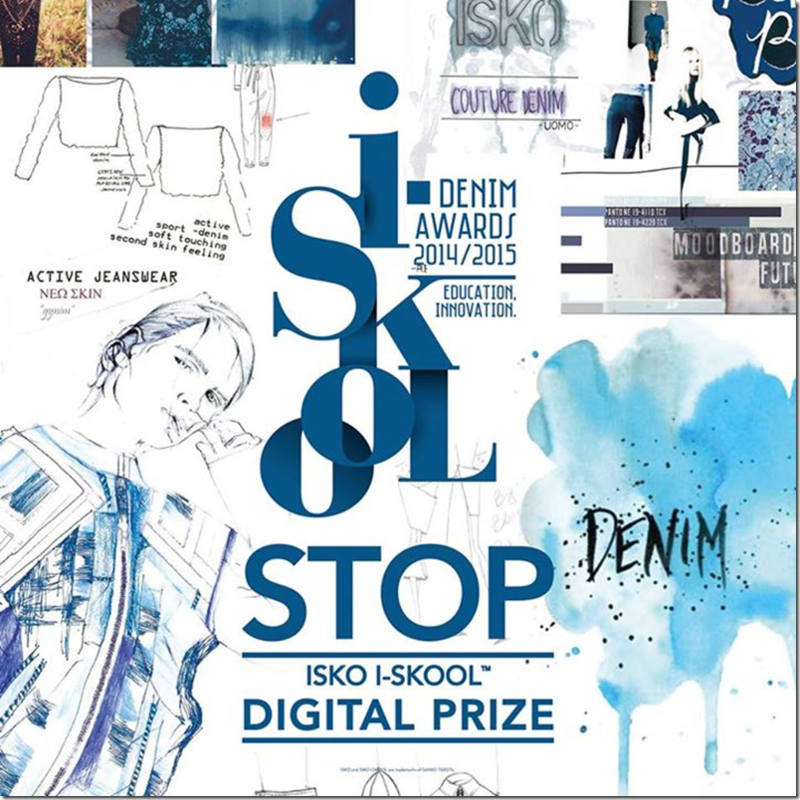 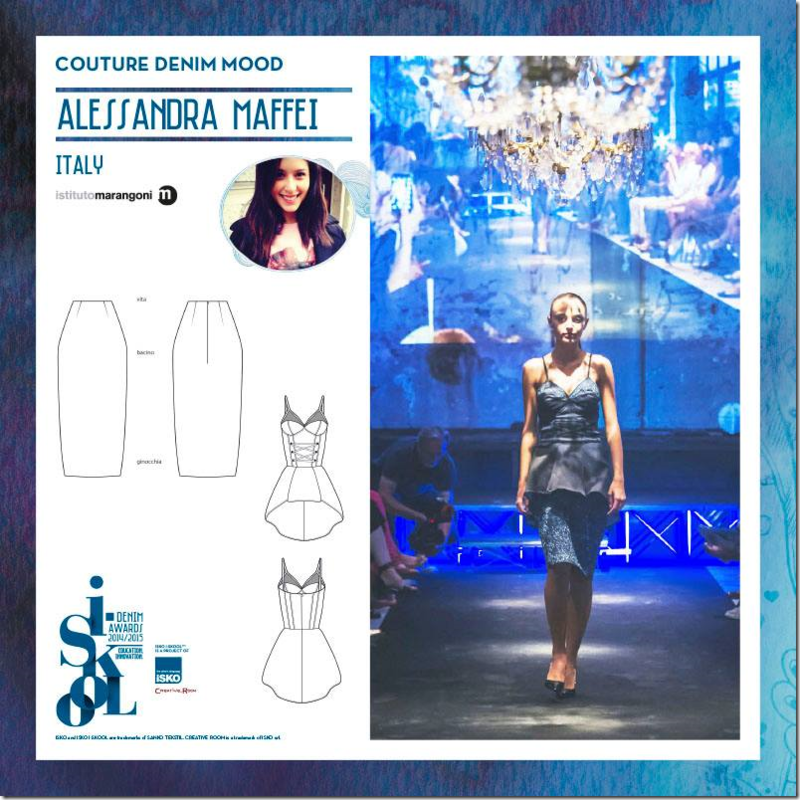 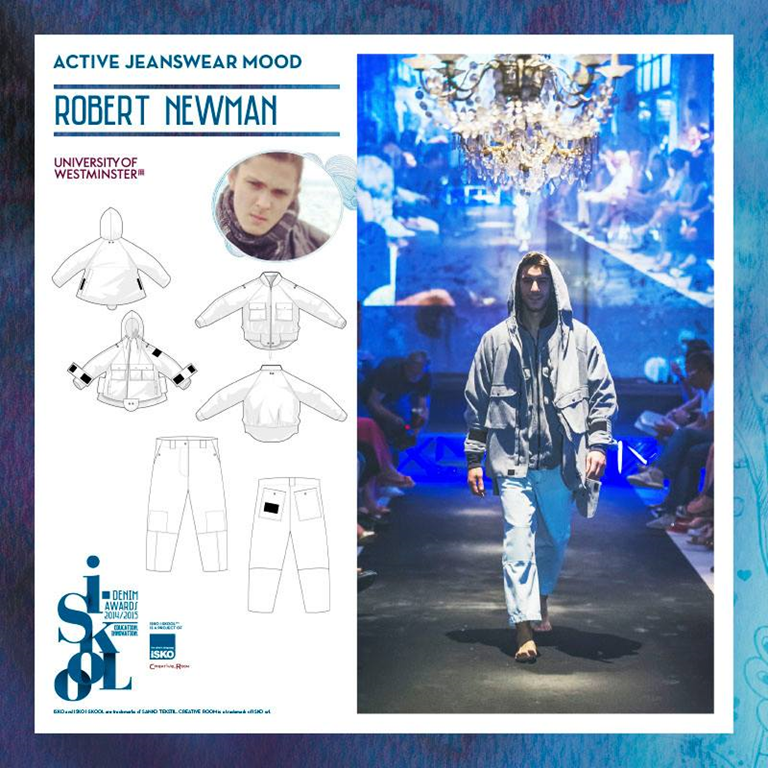 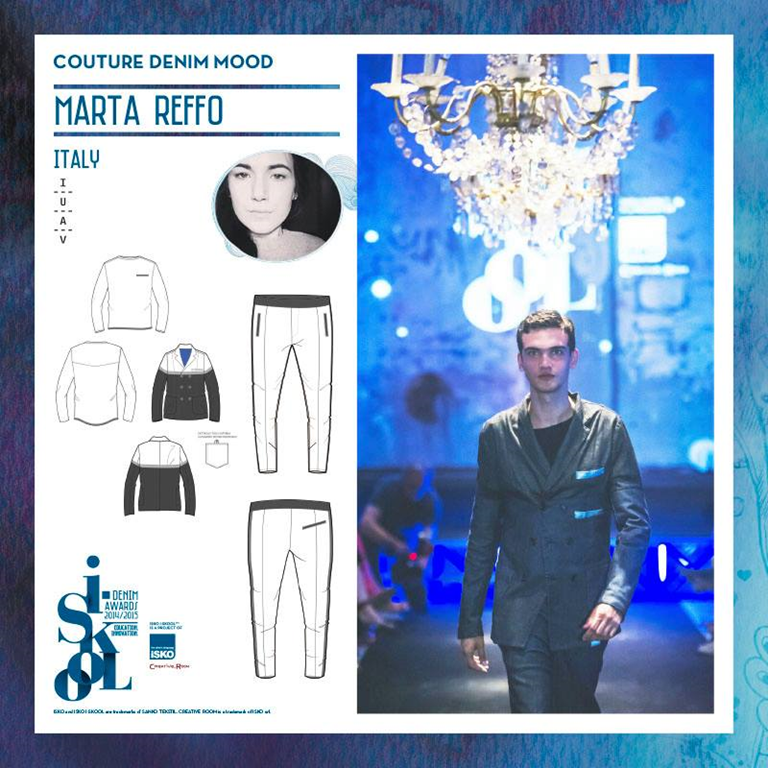 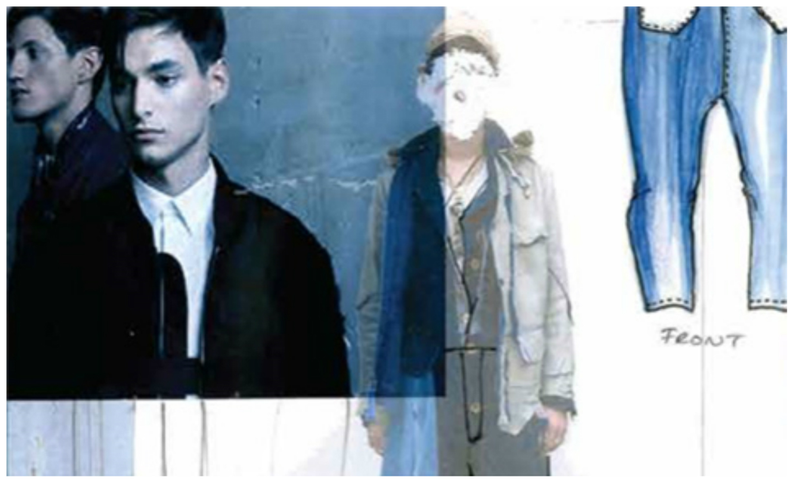 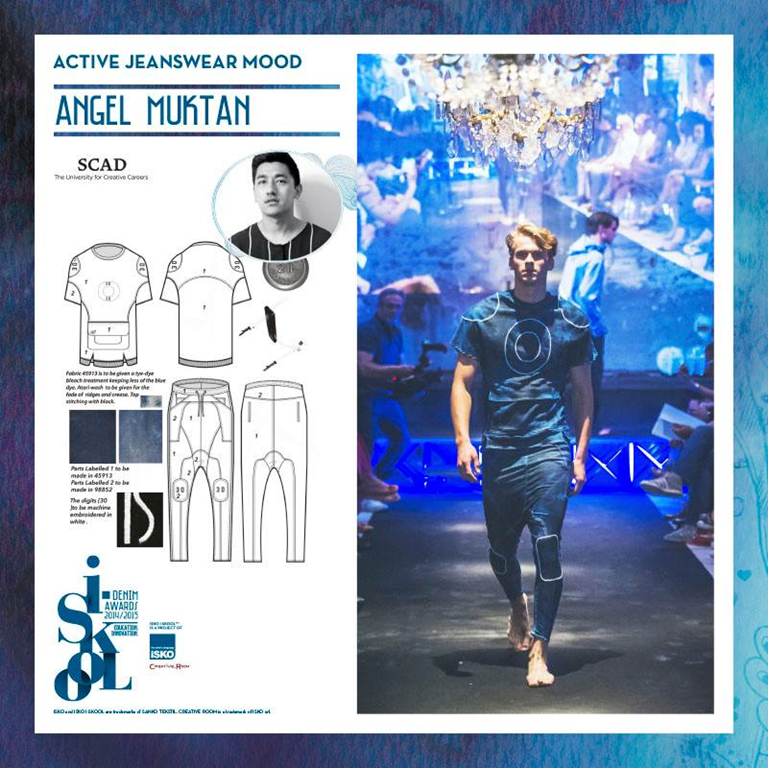 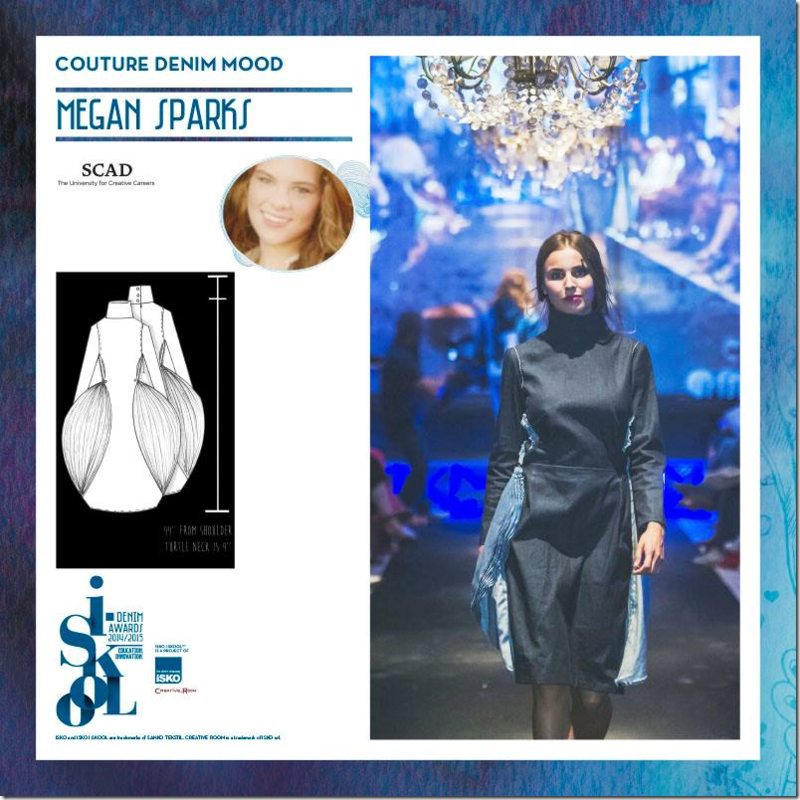 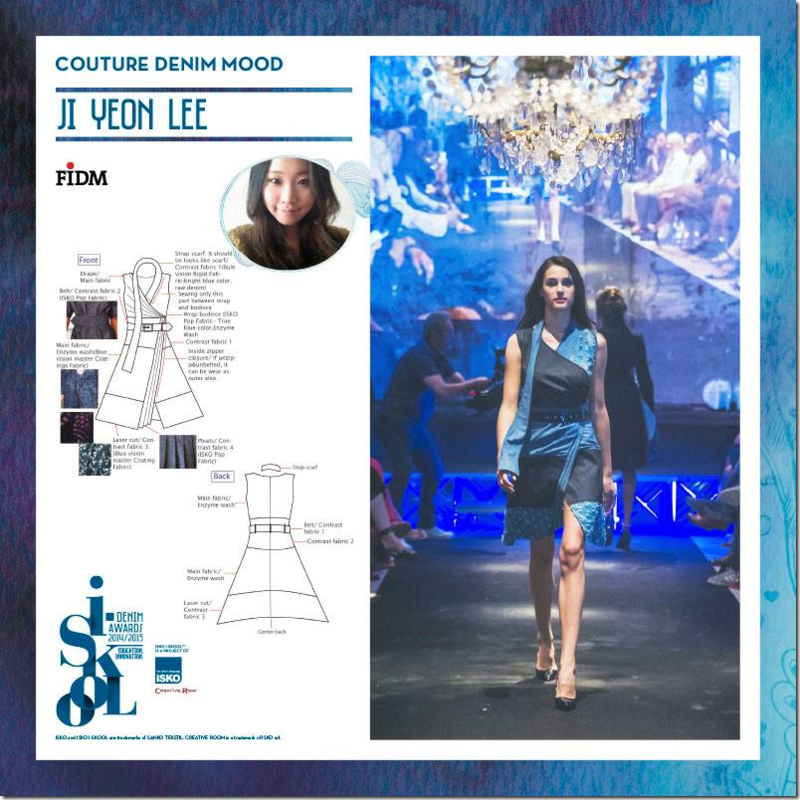 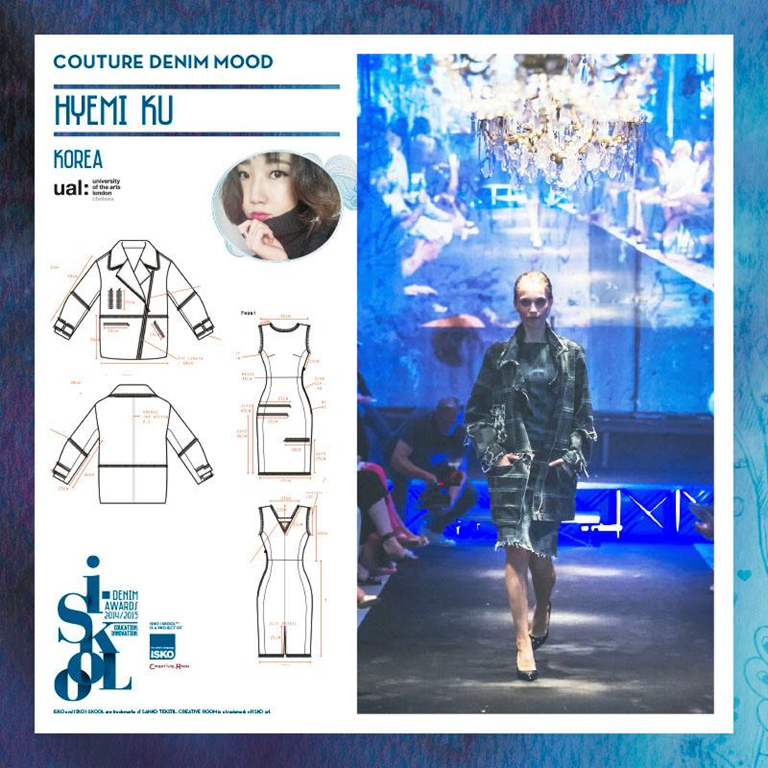 The students are asked to create a total look, either menswear or womenswear, made of maximum of three items, using ISKO fabrics. 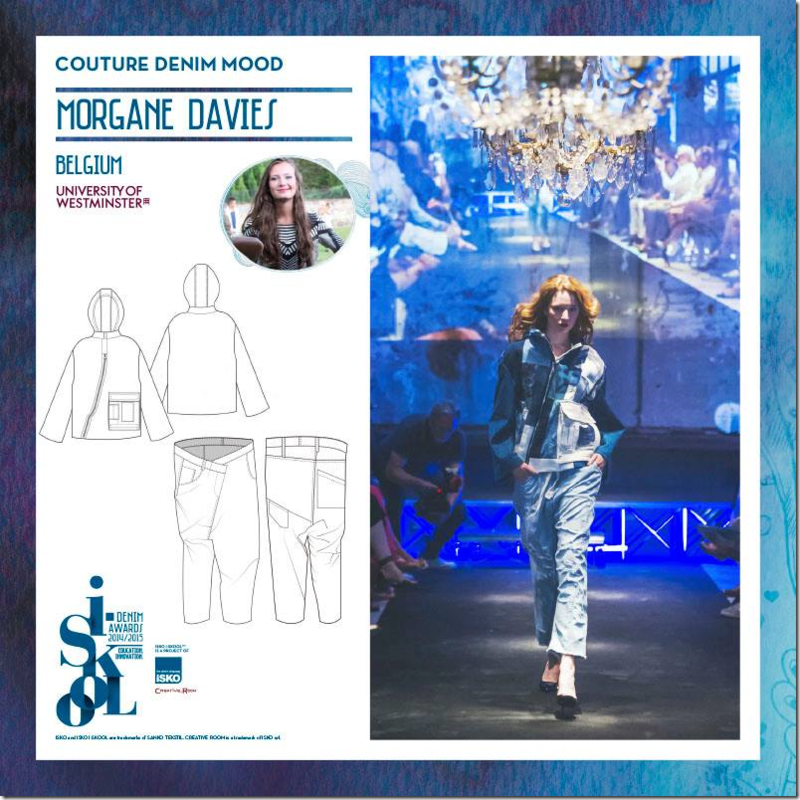 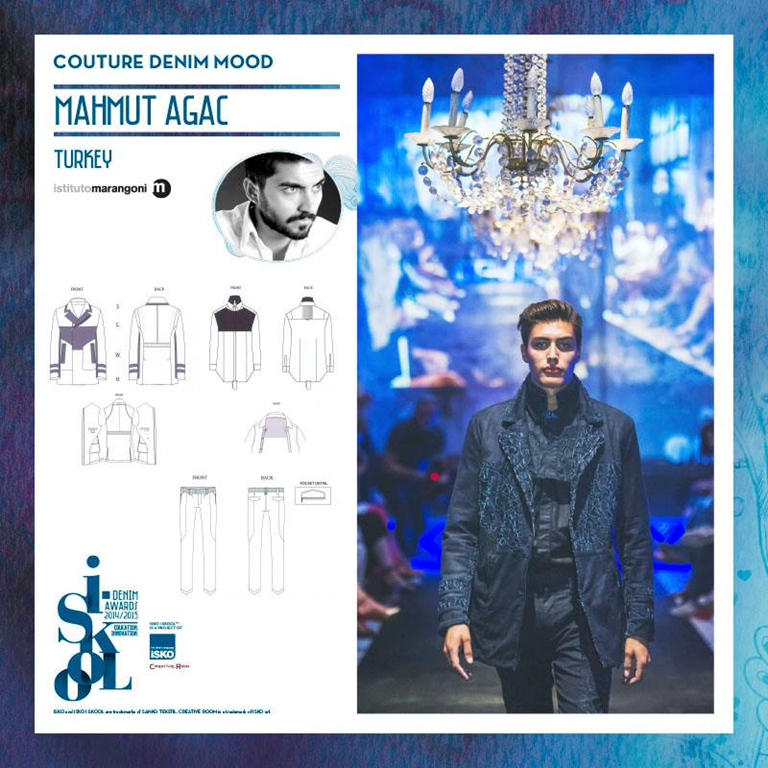 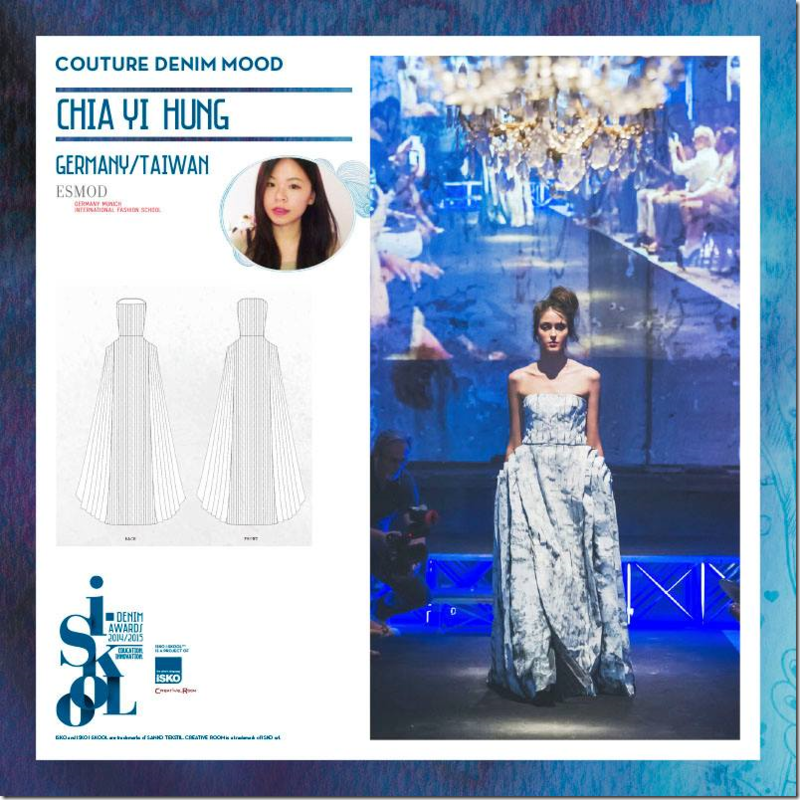 Couture denim included sophisticated silhouettes, suits, tailored jackets, sartorial cuts, polished washes, use of laser and prints and focus the attention on details such as stitches. Activewear is definitely an emergent trend in fashion industry. 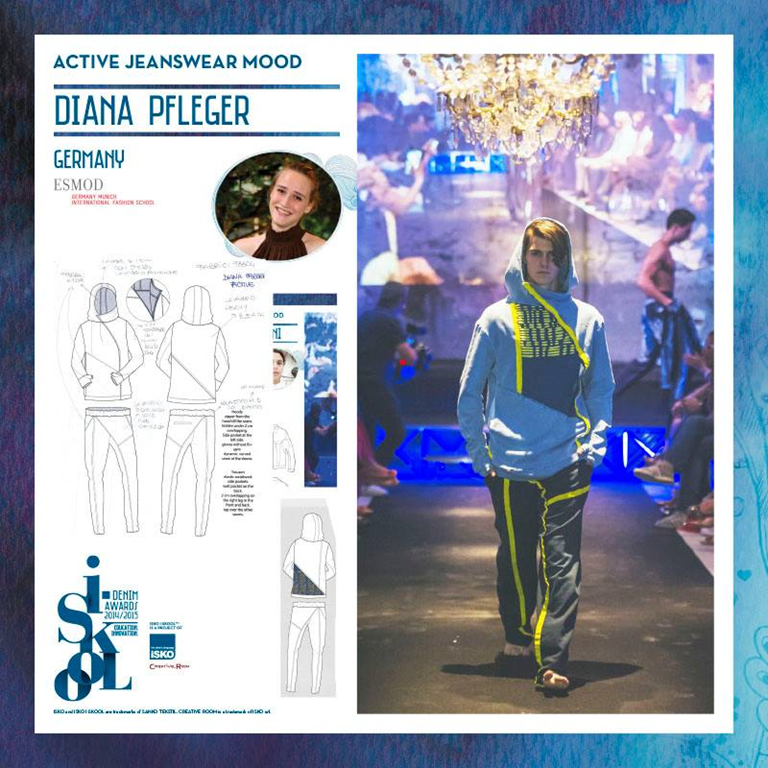 The task was to create a total look creating designs that can be worn in gyms, camping, during outdoor activities. There are plenty of possible fit for denim pants, but the market is always eager for something new and innovative. Students are challenged to work on both men’s and women’s styles of pants. The focal point is the fit, with additional focus on details that are the same for most of the population such as the shape of the pockets, different points of stitching and any kind of techniques. 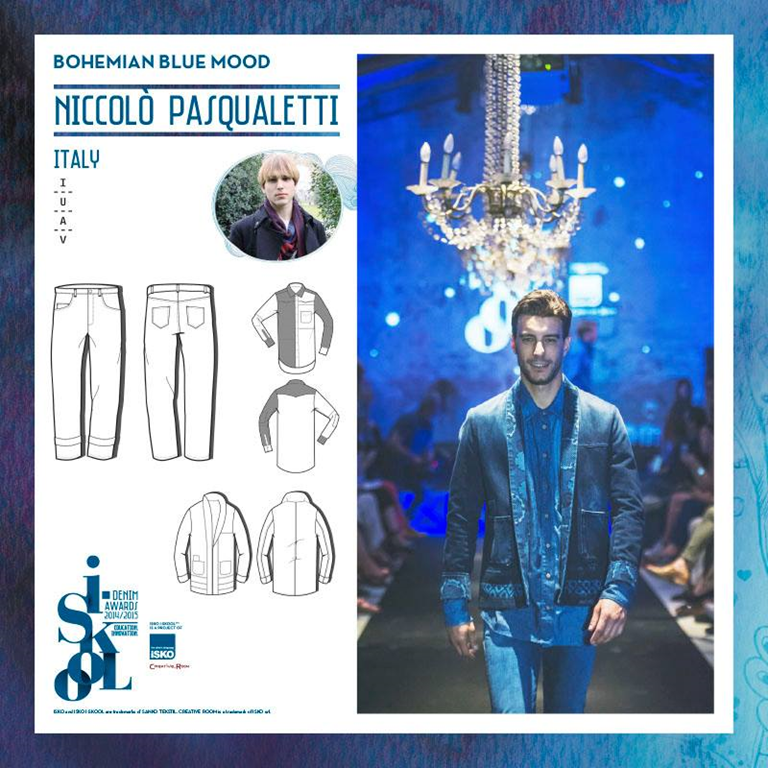 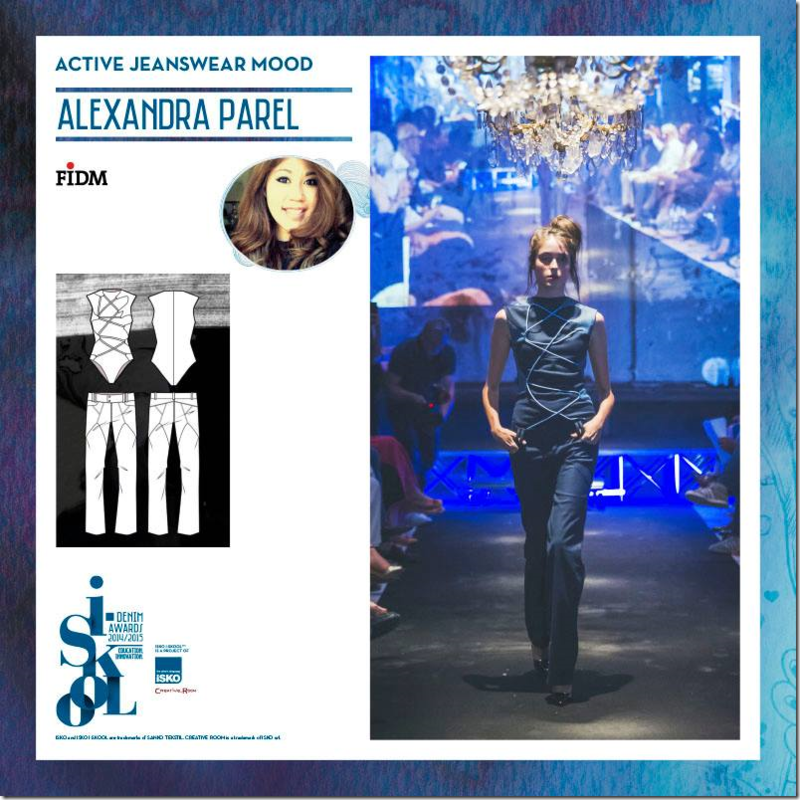 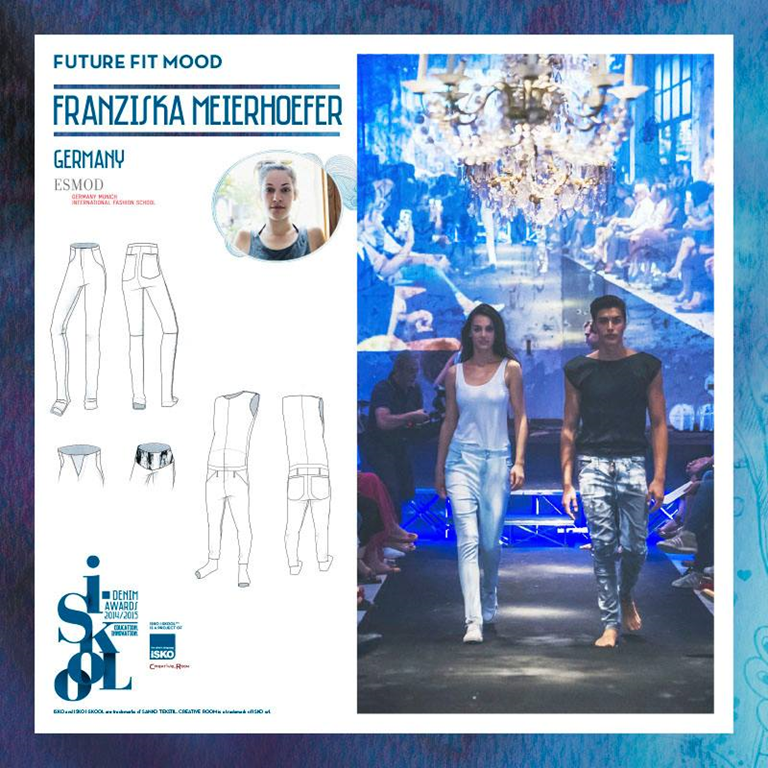 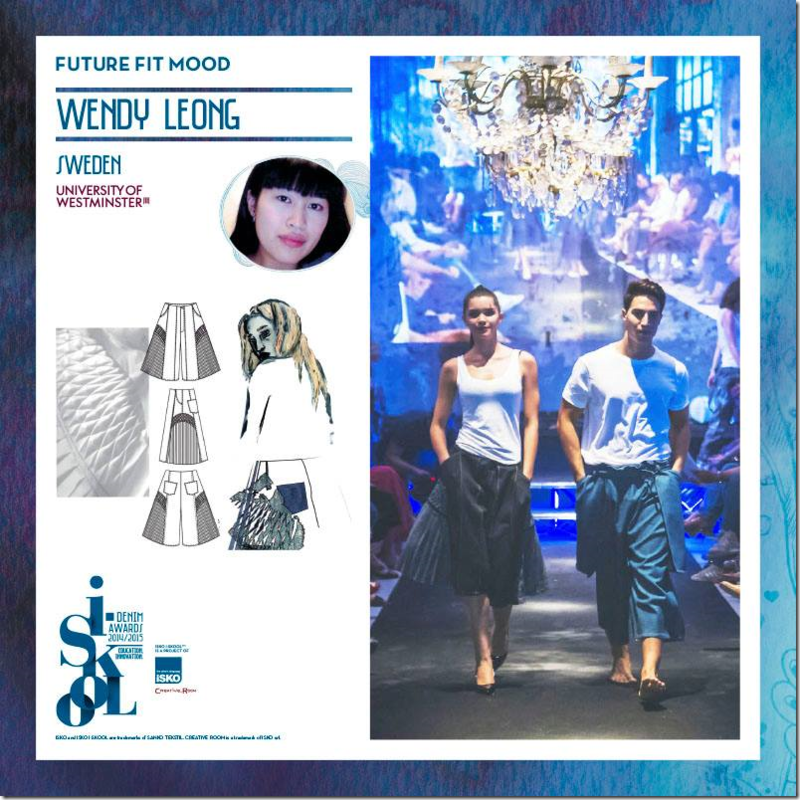 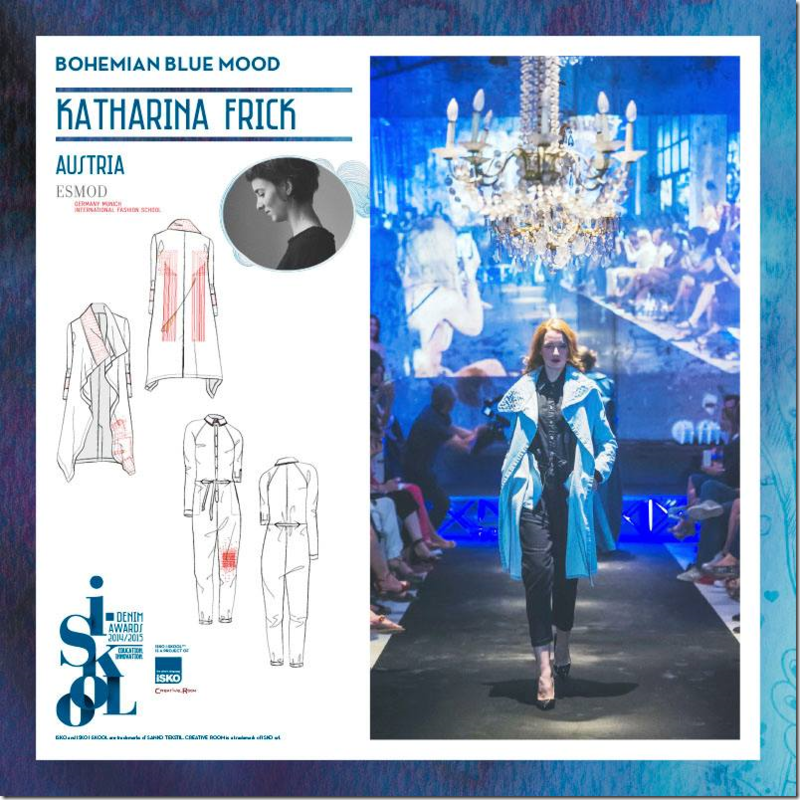 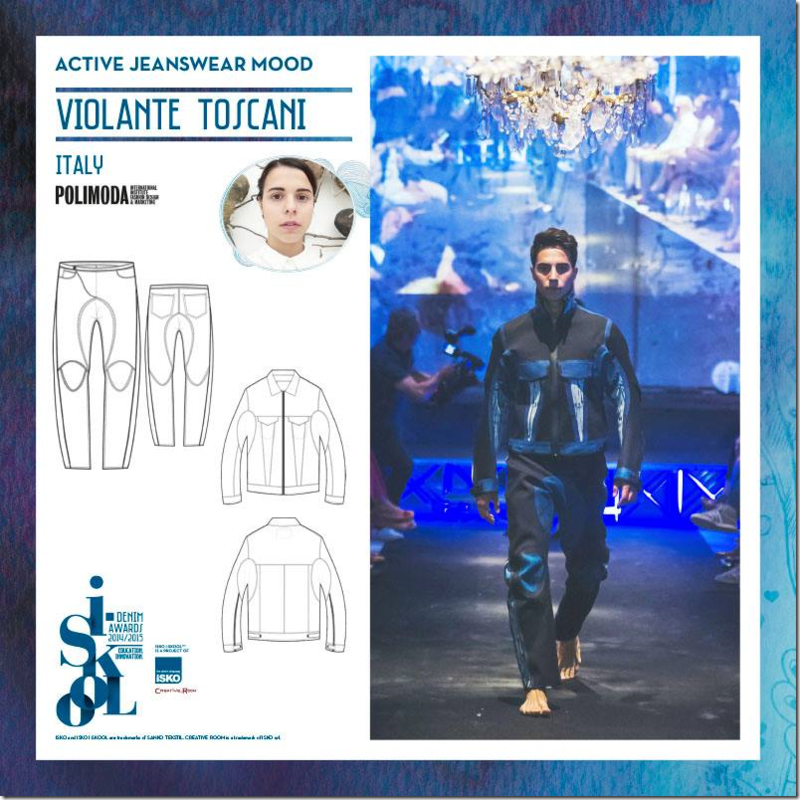 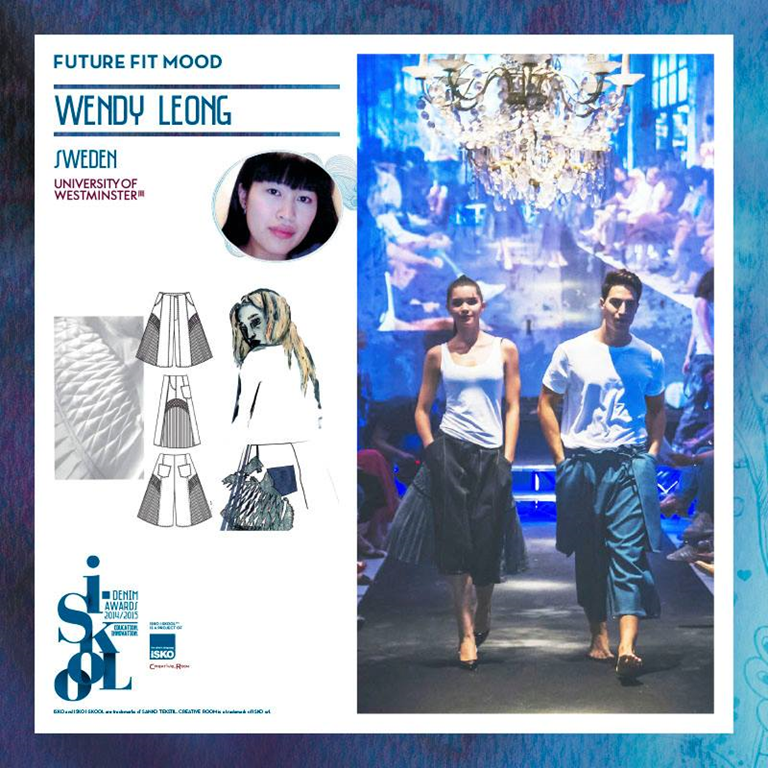 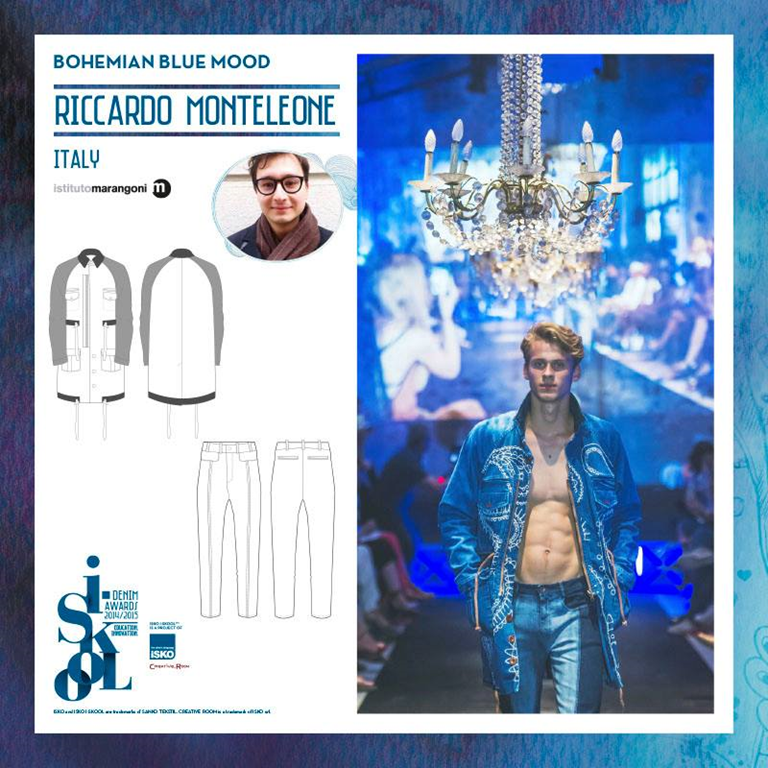 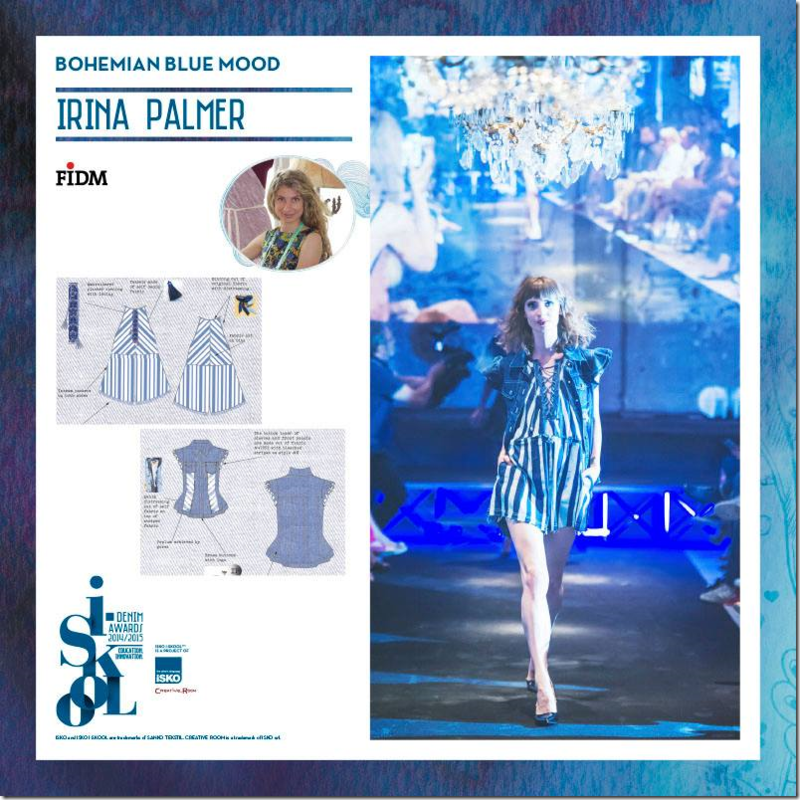 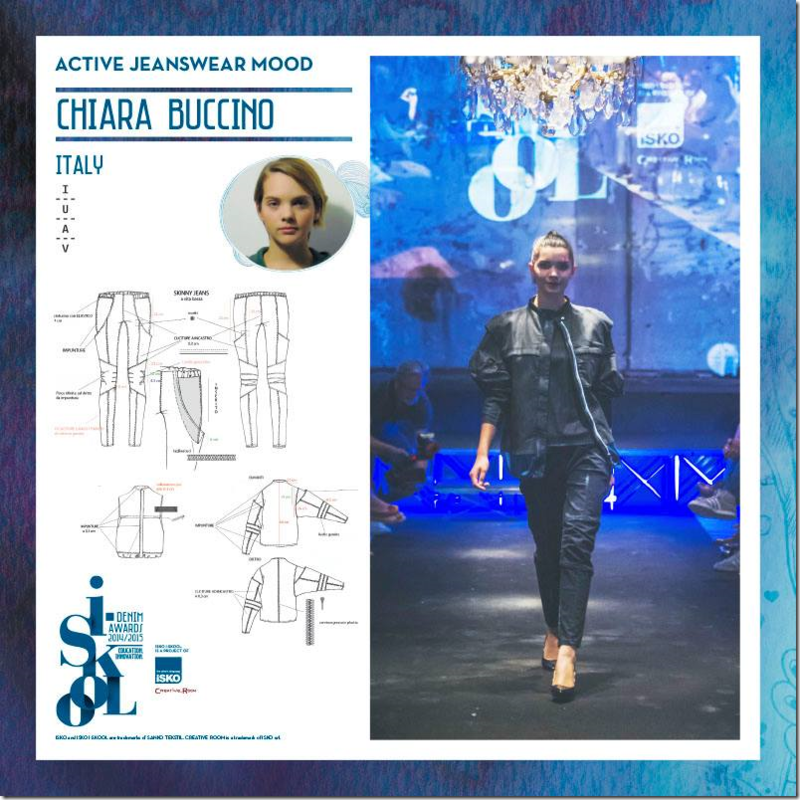 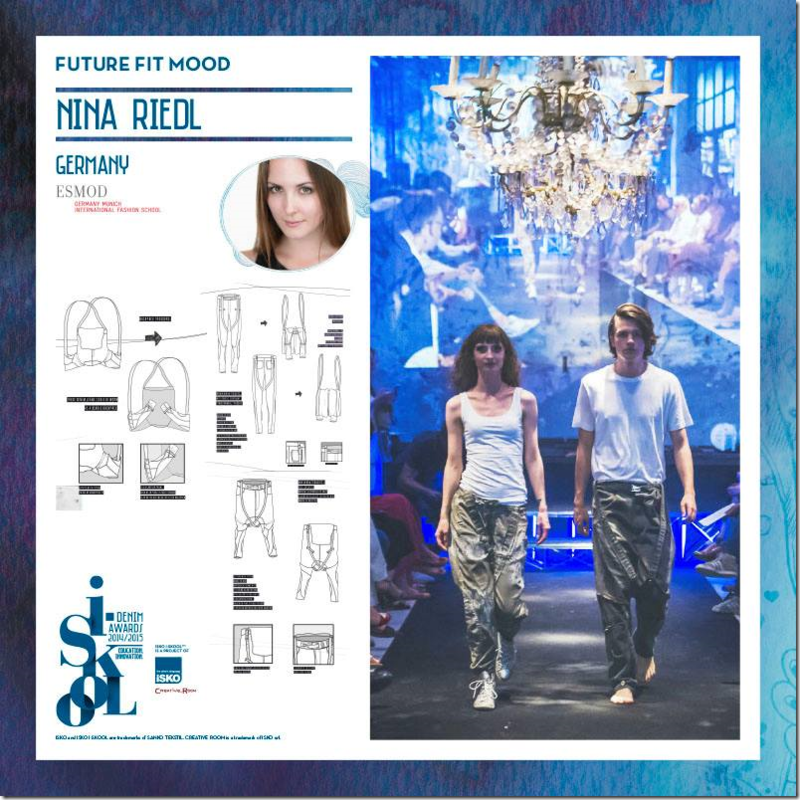 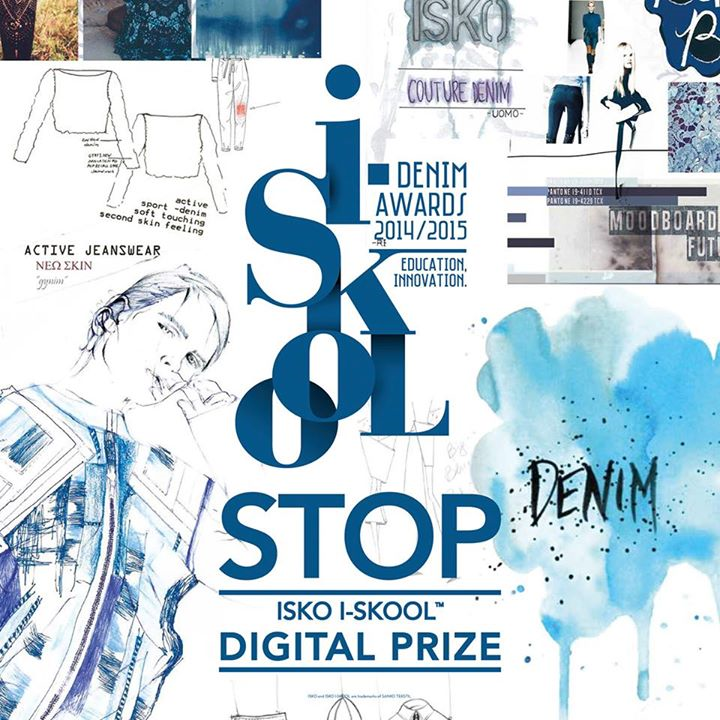 The schools that participated were UAL Chelsea (London), ESMOD (Munich), Istituto Marangoni (Milan), Polimoda (Florence, Italy), IUAV (Venice), University of Westminster (London), Artesis Plantijn University College (Antwerp), SCAD (Savannah, USA) and FIDM (Los Angeles), AMFI (Amsterdam), Polimoda (Florence), Sapienza (Rome), University of Pisa (Pisa), AMD (Düsseldorf) and Viamoda (Warsaw). 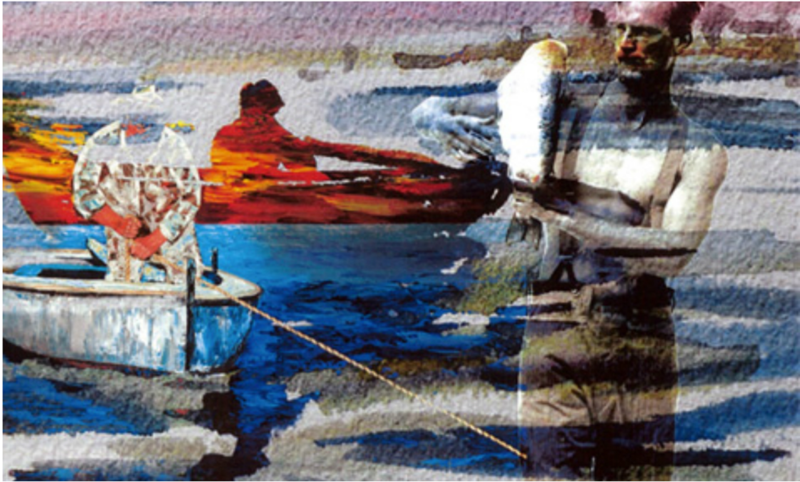 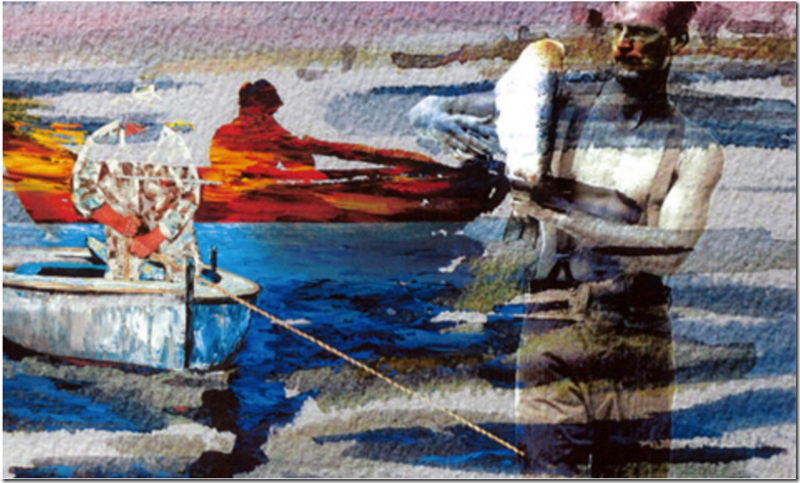 Here are some cool images from designs created under each of the four moods .